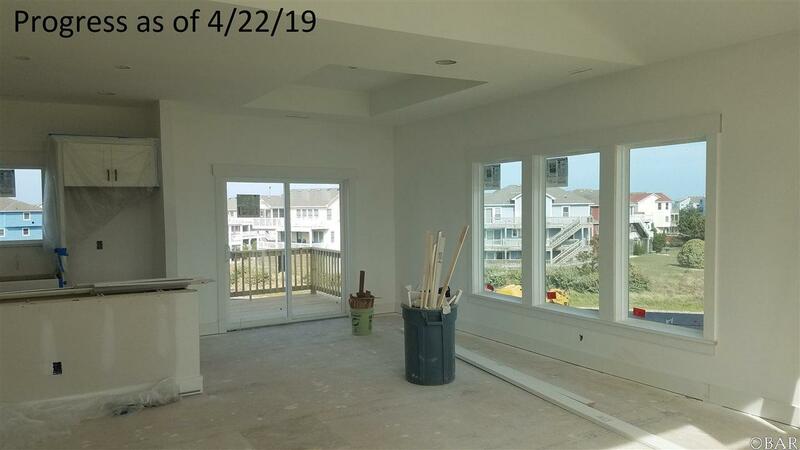 Construction nearing completion on this affordable soundside home close to community amenities and offering great views of the Currituck Lighthouse. Introducing SAGA's newest floor plan offering 5 bedrooms, 3 1/2 baths and a rec room. 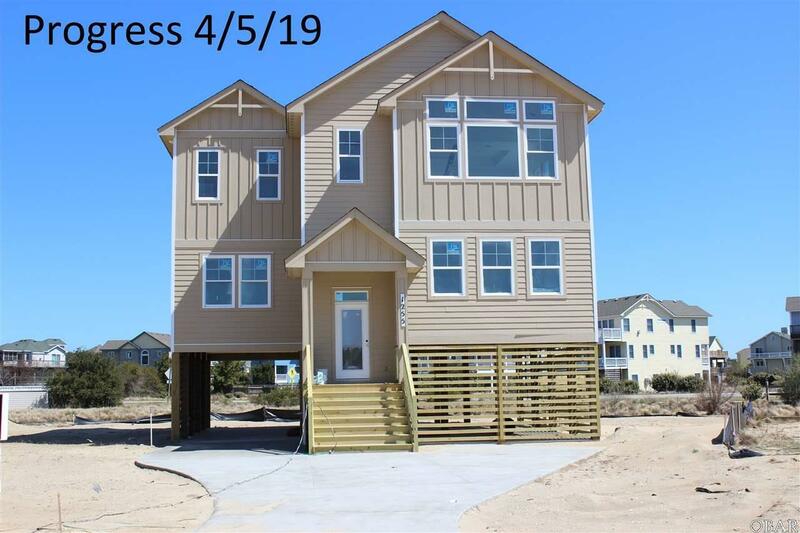 Perfect as a year round, second home or rental income investment home. Located within walking distance to the Villages of Ocean Hill community tennis, pool and lakeside area. Upgrades include oil rubbed bronze hardware, East Front kitchen cabinets with cushion close drawers and doors, custom tile back splash, GE stainless steel appliances, Coretec hard-surface LVT flooring in the main living areas, Shaw carpet in the bedrooms and staircases, custom tile flooring and with semi custom tile shower surrounds. 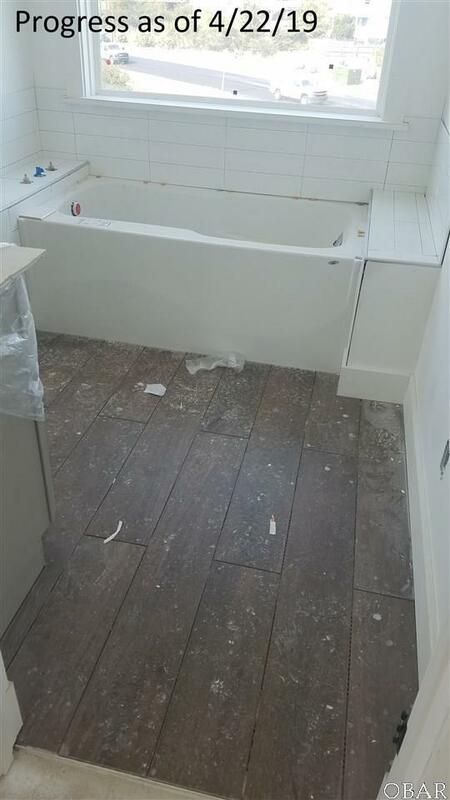 Luxury master bath features a large soaking tub and glass shower doors. Zip Wall System used on the exterior walls and roof. Property is currently in X flood zone. 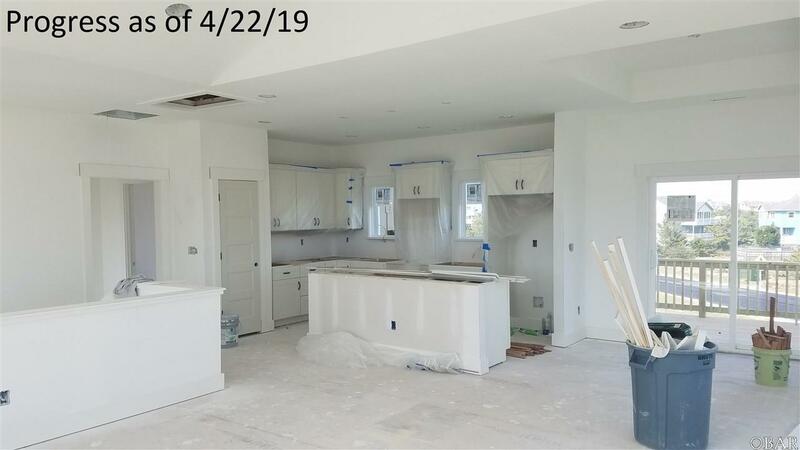 Construction progress photos as of 4-5-2019.